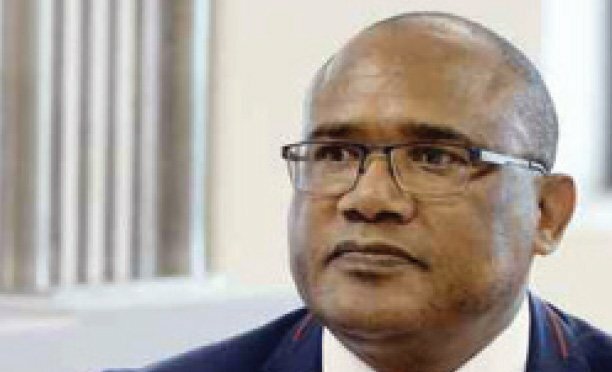 The Vice Chancellor of the University of Botswana Professor David Norris is a man on a mission.Norris told an impromptu student body meeting on Tuesday that as part of his cleaning exercise at the University he will boot out incompetent staff members this Friday. Norris said he will kick out anyone who engenders and stimulates the delay of processing and paying of students allowances at the highest institution of learning in the country. “We outsource a lot of things which can be done by our students, if we have to replace bulbs in our offices why should we get a company from outside to do that for us while we have electrical engineering students who can come and do these things, staff members in this institution who studied outside the country will tell you they worked part-time at those institutions.” Norris said students can supplement their allowance if they are well empowered. “Students can make money by just cleaning their room, we should award them opportunities based on what they are studying, we have students studying Tourism we should award them the catering opportunities,” he said. Quizzed on how soon these things can be implemented, Norris said they are currently receiving proposals from students. “I have met with several students and the Student Representative Council we have proposed that they bring forth ideas and we give them opportunities.“If we are not student-centred we might as well close the University and go home, we don’t want to create a burden for the government of today, if we don’t train our students we are condemning them”.